What better day to sit back and reflect on ebook sales than the last day of the year? While it’s frigid cold outside (so cold many New Year’s Eve celebrations across Canada have been cancelled! ), there’s lots of hot news in my K-Lytics Premium monthly report for 2017. Lets start by taking a look at the ebook market in general. And there’s no better place to do that than with this report from Author Earnings – February 2017 Big, Bad, Wide & International Report: covering Amazon, Apple, B&N, and Kobo ebook sales in the US, UK, Canada, Australia, and New Zealand. The report above, from Author Earnings, shows sales country-by-country. So, suffice it to say that ebooks have a good share of the market whether you’re looking at indie published ebooks or “Big 5” (largest traditional publishers) published ebooks. In fact, in the US, indie published ebooks outsell all other types of publishers — even the biggest traditional publishing houses lag behind indies by 8%! What’s the Best Selling Ebook Category? Just because ebooks are selling well doesn’t mean that every ebook is making money for its author or publisher. Buyers have more books than ever before to choose from — so they’re choosing exactly what they want to read. To find out what books those are, I rely on K-Lytics. K-Lytics is a market intelligence service that does all of your footwork for you when it comes to figuring out the ebook market. While the data is all based on Amazon’s sales for its Kindle readers, since Amazon still has the lion’s share of the ebook market (83.3% in the US, 87.9% in the UK, 52% in Canada, and 60% in Australia, according to the report above), their categories will likely be representative of general sales. But back to the report. K-Lytics provides two different types of analysis to determine the best selling sub-genre: sales volume of #1 best seller and sales volume of top 20 titles. Looking at the first set of numbers helps identify runaway hits, while the second set establish general genre trends. Of course, what you’d really like to know is which sub-genre readers are taking home most of the time in either genre — right? Now for the unveiling! In top 20 average, the most popular sub-genre is Mystery, Thriller & Suspense — Suspense, while in #1 best seller the same genre shares top place with Literature & Fiction — Literary Fiction. Surprised? Don’t be. This just demonstrates the difference between looking at single runaway titles and general trends. However, on a side note, the second, third, and fourth best selling sub-categories were all sub-genres of literary fiction. So, how many books does one of the top 20 suspense novels actually sell? K-Lytics estimates the average number of sales per day per top 20 titles is 1,064. On the other hand, that best selling suspense novel (or literary fiction novel) is estimated to sell 3702 copies per day! If you’ve got an ebook for sale on Amazon, you may have cringed at the heading. After all, who really wants to know the book they’ve spent months — perhaps even years — is in a category that doesn’t attract an wide readership. Of the 426 sub-categories K-Lytics reported on in December, three categories had best sellers where the top 20 books only averaged six books a month in sales. What were they? Law dictionaries, sports and outdoors, both rodeo and softball. In fact, this blog article on K-Lytics, Best Sellers That Do Not Sell, talks about rodeos as being the worst selling category. And that #1 book in the rodeo category only sold 1.3 copies per day. 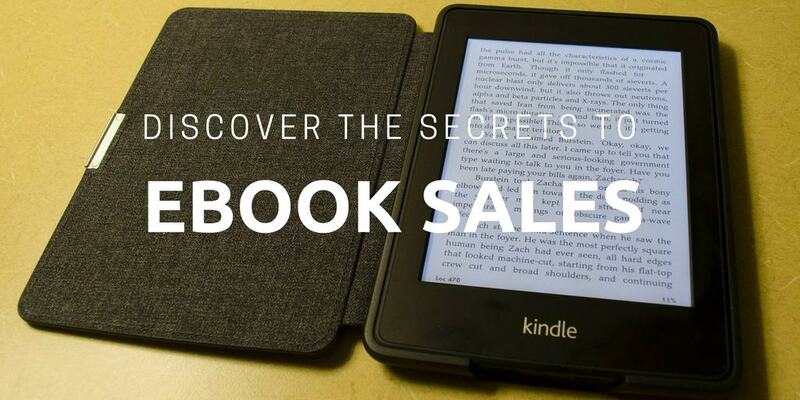 How Much Do Best Selling Ebooks Sell For? Of course, the number of copies of a book you sell is just one factor in how much money you make. The other factor is how much you charge. Amazon has a pricing scale directly related to the amount of royalty you’ll receive. If you sell your book for betweem $2.99 or more than $9.99 (ebook file sizes also apply — see this Amazon chart), you earn 70% of the book’s list price. If you sell above, or below, you only earn 35%. Amazon set these royalty rates to try to keep ebooks in a particular price range. But do these prices really reflect what buyers will pay? Looking at the average price of the top 20 ebook sellers in a category should give us some clues. As you might expect, the top ebook prices are charged on academic books or titles that require a lot of research. Five of these sub-categories have an average price of over $20 per ebook for the top 20 titles. But, to get back to the top selling category, Mystery, Thriller & Suspense – Suspense, the average price of the top 20 sellers is $7.37. So, if that top title that sells 3702 copies per day is charging the average price, the gross income per day is $27, 283.74. That’s pretty amazing, isn’t it? On the other hand, five sub-categories in the main category of romance, which is generally the most popular genre, had average prices of the top 20 titles of $1.37 to $1.90. Why? Let’s take a look at a third factor in how much money ebook authors make, competition, to find out. K-Lytics tracks two elements considered in establishing competition: how many books in the sub-category now and how many new books added monthly. You may be relieved to learn that those low-low selling ebook categories really have very few titles in them. In fact, there were only 177 Kindle ebooks in the category of Sports and Outdoors – Rodeos (as of November 30, 2017), when that report came out listing them as the lowest selling sub-category. Whew! But what about those more common sub-categories? Romance sub-genres, mystery sub-genres, science fiction and fantasy sub-genres? How’s the competition there? Take a deep breath and prepare yourself. In November, 2017, there were 140,831 titles in Romance – Contemporary, and 136,831 in Science Fiction and Fantasy – Science Fiction. Getting found in that big of a pool isn’t going to be easy! And what about that best selling sub-category, Mystery, Thriller & Suspense-Suspense? The numbers there are a little easier to handle, with only 85,280 titles available. The good thing about this element of your market research is that it’s easy to get the latest numbers right from Amazon. This article of mine shows you how: How to Make Money Selling Romance Ebooks – 5 Things You May Not Know. If you checked Amazon on a regular basis, you could also calculate the monthly percentage of change. However, I find it’s a lot easier to let K-Lytics take care of it for me. How Can You Learn More About Self-Publishing Your Own Ebook? As you’ve discovered in this article, K-Lytics is the go-to source for the marketing information you need to make money with your own ebook. You may want to start with the free monthly update of 30 main categories or a report on your specific genre, if one is available. And, if you’d like help doing the preliminary marketing; creating your title page, front and back matter, and formatting your ebook; and putting on the professional touches, join me in my course, Publish and Sell Your Ebooks. It’s offered online through colleges and libraries around the world. In your article you mention that law dictionaries are unpopular. It is strange, since there are many kinds of dictionaries. Why legal dictionaries?. I guess they just have the fewest buyers. I just wanted to thank you for your blog and your on-line class. I purchased Publish and Sell Your Ebooks from Pima Community College in Tucson, Arizona several years ago. At the time, I wasn’t able to take the class over the 6-week period it was offered, but I saved it all (as well as your blog address). Much more recently, I decided to work on self-publishing a book, and I found your class very helpful–so many wonderful resources! At the last Tucson Festival of Books, I attended a workshop on self-publishing. It was a good overview and very well done. I received an email from the partnering presenters several weeks later (I had signed up on their list) offering their coaching services for $150/hour. I was shocked! I wonder how many self-publishing authors can afford that kind of money for coaching (and then, all the other expenses that can go into self-publishing). I was so grateful to have purchased your 6-week course for a reasonable price at a community college. And then, there are so many resources available for free on the Internet. Thank you! I look forward to continuing to read your blog and referring back to your class. Glad you enjoyed the course! PreviousEffective Words: Do Your Words Have the Strength of a Brick Wall or a Tissue?